Neodymium is one of the strongest magnets in the world and when used in a speaker, it has a number of advantages over traditional ceramic magnet speakers. It increases efficiency, lowers distortion and reduces weight. 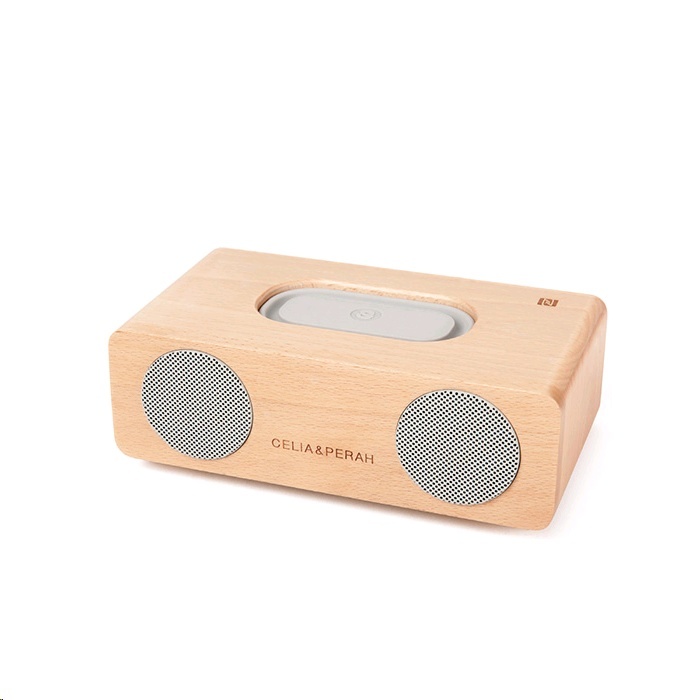 The result is a clear natural sounding music in a light weight portable design. The bass response of small speakers has always been a great concern to audiophiles. The size and response of the bass radiators used in the M2 are designed to perfectly match the full range drivers. The location of the dual bass radiators were carefully chosen to eliminate boomy sounding bass sometimes associated with speakers. 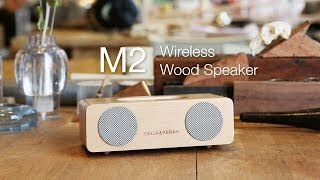 The dual exposed bass radiators not only add to the good looks of the M2, they provide powerful accurate bass not typically found in a speaker of this size. The M2 adopts the design of feet, which usually seen among the high end speakers, to reduce the contact area between cabinet and the table top, diminishing the vibration comes with the bass. 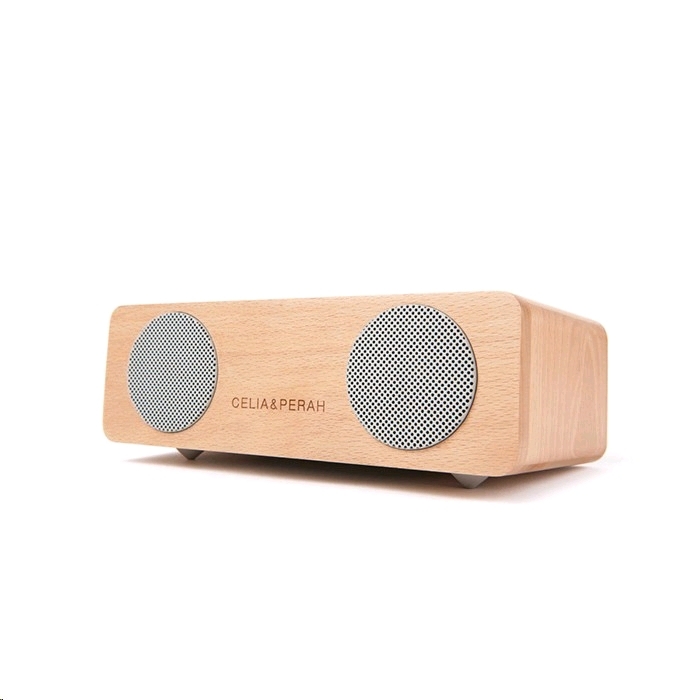 It not only keeps the sound clear without disturbance but minimizes the inconvenience of table top vibrating caused by the speaker. Besides, the small elevation angle of the speaker would also make the sound more direct and suit nearfield listening. To deliver the image of modern Hi-Fi speaker, we add a fillet on the corner of wood cabinet and use the metal grill in front of the drivers, the light colors of beech wood, aluminium and silicone rubber make the design a good blend of traditionalism and modernism. The aptX audio codec is available for consumer and automotive wireless audio applications, notably the real-time streaming of lossy stereo audio over the Bluetooth A2DP connection. This innovative work was focused on bit rate reduction and achieved significant bit rate efficiencies while preserving audio quality. Now music lovers can enjoy the rich listening experience that aptX offer : the pure wireless sound and never compromise on audio quality.